Part of Google's grand plan? Changes over in Mountain View are happening at breakneck speed, but during its latest earnings call, Google shed some light on why it made at least one tech-world-rocking move in recent days. On January 13, Google announced it had purchased smart thermostat maker Nest, bringing company founders Tony Fadell and Matt Rogers into the fold. "Nest and Google share a real common vision. Both of us believe that technology should be doing the hard work so people can get on with their lives and do great things. Our goal is to help them scale, bring in the resources of Google, make broader investments and grow internationally." "Being able to bring Tony and Matt to the team is wonderful," he added. While Google may want to help Nest - and by association, itself - branch out into more homes, acquiring key talent in the form of Fadell (a.k.a. the "father of the iPod") and Rogers is another bullet in Google's talent arsenal. Pichette didn't expound on why it's good news to have the two on Team Google, but recent reports suggest Google has designs to make the Nest team a central part of its hardware division, and we're talking more than building Google-branded smoke detectors and thermostats. Rather these would be devices that "make more sense for the company," as TechCrunch put it. 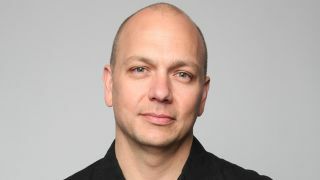 What those are isn't yet clear, but with Fadell and the rest of Nest on board, it's hard to imagine they'll have trouble cooking something up. "As you know from Nest, Glass and wearables, we continue to be committed to hardware in areas which are enterprising, promising new frontiers," Pichette said. Guess the customizable Moto X wasn't enterprising enough?